We recently caught up with our friend, Doug Burtner (above with brother Curtis at the helm) Sales Manager at Haarstick Sailmakers of Rochester, New York. He graciously agreed to an interview. At Shoreline Sailboats, we are huge fans of the sails that Haarstick Sailmakers produce, and we highly recommend them to all of our sailing friends. We have firsthand experience with their sails and service, sailing on the J35 Das Blau Max and the B25 Spider, and we are thoroughly convinced their is no better choice of sailmakers. Contact Doug Burtner at sales@haarsticksailmakers.com, or (585)342-5200. Make your next sail purchase a Haarstick Sail! Doug, can you tell us your experiences in sailing, and how has that evolved into a career in sailmaking? I moved to Brighton, NY from Allentown, PA when I was 6. I always grew up on the water off the Jersey Coast fishing with my grandparents, but never stepped foot on a sailboat until I was 19. My parents got into sailing in the mid 90’s after a business trip landed my mother in the midst of the America’s Cup in San Diego, and she somehow even ended up at a private party for one of the teams. Not long after that they bought an Ensign (“Calyce” at GYC/RYC now) and joined Canandaigua Yacht Club. My brother and I were at the ripe age of “not wanting anything to do with our parents” and never spent much time on the boat. While in college, my Brother and I both got a call from Dr. Henry Rohrer, a CYC member wanting to know if we would like to go to sailing school in Florida for winter break, and then sail with him on his Ensign at Canandaigua Yacht Club in the summer of 1998. A no brainer. Bud had some coaches from the area work with us, and eventually sail with us – Gunnar Richardson, Hank Williams (both from Haarstick Sailmakers), Mike Ingham, Jay Tovey, and a few others. Bud put a solid team of young sailors together and sent us to Midwinters in Florida and the Nationals every year for 5 years straight. We always finished in the top 7 at Nationals and the top 3 at Midwinters. Along the way, I ended up getting a job at Haarstick part time while I was a full time paraprofessional (one-on-one teacher aid) for an autistic child. The part time job at Haarstick ended up full time in late 2001. Greg Eiffert bought Bud’s fast Ensign in 2005, and I continued to sail on “The White Lady of Irondequoit”. We ended up winning the Ensign Nationals twice in 4 years, and I am now the Head Sales and Service Rep at Haarstick. That is the long story made short about how I got into sailing. Making a sail then using it out on the water with a happy customer. / Racing with customers who are a blast to sail with. What are some of your favorite boats you have sailed on? I have sailed with many people on many boats. I wish I had a list of the boats I have been on. The Ensign will always be my favorite. Some of my co-workers would laugh at me for saying that, because it is a slow boat but it’s all relative, right? Especially when racing against other Ensigns, does it really matter how fast the boat goes? This day and age, if you’re not on a foiling catamaran going 40 mph, then every boat is slow. The Ensign just holds a special place in my heart and I have spent more time on that boat than all the others combined. I have been out on Beneteau 40.7’s quite a bit, but I always preferred the Ben 36.7 because there was less crew (6-7 instead of the 10-12 on the 40.7). I have been out on J/24’s a bunch, but always prefer the J22, because there is less crew. I have been out on the J80’s and Melges 24 and love the speed from the large asymmetrical spinnakers, but don’t like racing them on windward-leeward courses because of the asym kites. I have been out on an 8 Meter once and it was amazing – like sailing a piece of history. By far the biggest smile I had on my face from sailing was on a DN Iceboat on Sodus Bay going 50-55 mph skipping across the ice about 5-6” below. When you race what are common mistakes you think a lot of people make? What do you see the really good teams doing that makes them place better consistently? -Not heading up wind to the best of the boats and sails ability is the biggest mistake. This stems from not trimming the sails in all the way and not driving to the telltales. This is where the biggest gains and losses can be made. -Not realizing when you’re sailing in a 15 degree header. – Not getting out to practice at least once a year. -The good teams do the things I named better. If you want to do well, you need to practice. You need to get the sails up and down correctly at the mark roundings. You can’t accomplish that by going out for one race a week. You need to pick a day (and two rain dates) and make a practice day or evening happen if you want to do better on the race course. I learned how to race the Ensign the best when we went out and did a jibe or tack every time the skipper/coach blew a whistle. We did a dozen mark rounding and over 40 tacks and jibes. After that we were like a well-oiled machine. We greatly appreciate the fact that Haarstick is an independent loft and all American made. We know that the cloth testing program and the Gerber cutter at Haarstick ensure high quality materials and perfect sail panel layouts. There is no doubt that Steve Haarstick is an absolute master in sail shape. What do you feel makes Haarstick unique? D. All of the above. Everything you mentioned is what makes us unique. I know that we can be a little more expensive than guys who use cheap materials and push sails through as quick as they can, OR sails made overseas, but you pay for what you get. I really hope that more and more people in the area can see the value of getting a high quality sail from Haarstick. The advantages far outweigh any slightly increased price, if any. 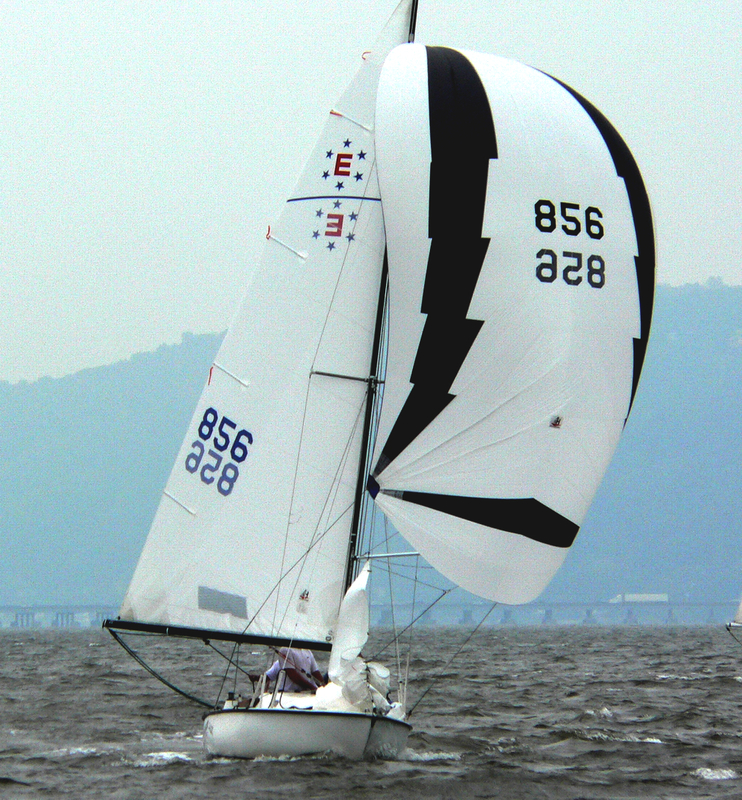 Since the spring of 1970, Haarstick Sailmakers has been an independent custom sailmaker with the continual goal to design and build the finest sails possible, provide excellent service, at a fair price for each and every sail we build. Our approach is simple: test and use only the best cloth, apply our independently developed design/CAD/cutter systems, and assemble with the craftsmanship of experienced, skilled Sailmakers. We do this all in-house, in Rochester NY. No overseas labor and no cushy ‘corporate’ office. From our rigorous “IMPACT FLUTTER” cloth-testing program; to our innovative design/cutter program; to our workforce averaging 11 years of experience; quality is our ideal and driving force.